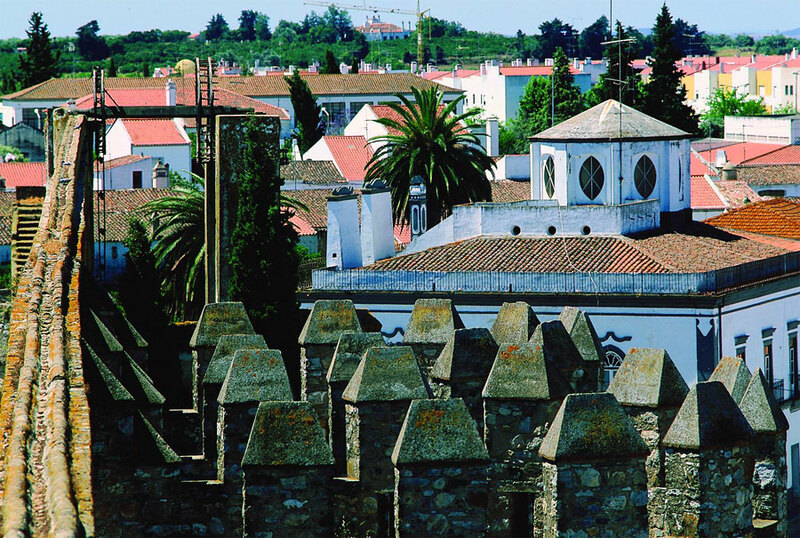 Serpa is a sleepy hilltop town in rural Alentejo. Close proximity to the Spanish border gave rise to the construction of thick town walls and a small castle, the remains of which are open to visitors. The castle is of Moorish origin, though it was largely rebuilt in the late thirteenth century by King Dinis.The castle suffered serious damage during the Spanish invasion of 1707. Entrance to the castle is through a dramatic piece of cracked wall. The battlements offer long views over the surrounding plains while the Museu de Arqueologia houses a small but fascinating collection of Paleolithic, Neolithic, Roman and Moorish artefacts relating to Serpa's long history; the town was founded in 400BC by the Turdelos, one of the original peoples of Iberia. The old town, contained within the town walls, is an atmospheric place of narrow cobbled streets lined with orange trees, red-sloped roofs and white sun-baked houses. 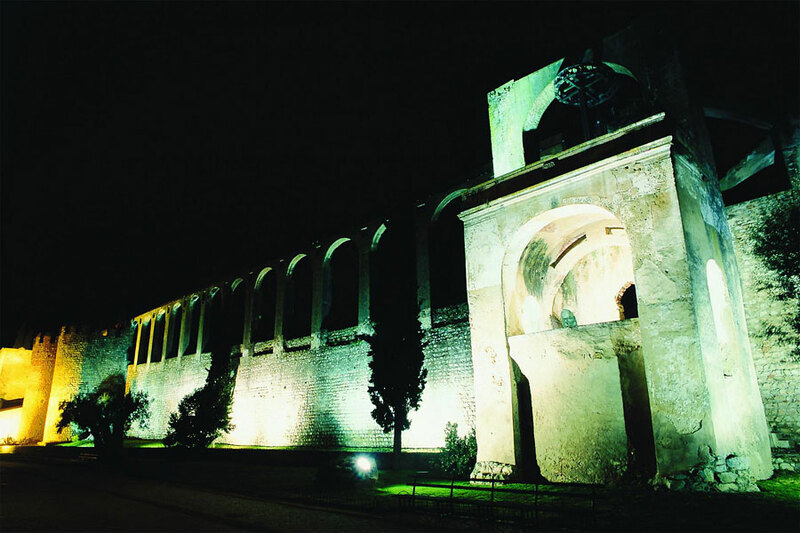 On the west side of the town walls stands the remains of an impressive eleventh century aqueduct. At the southern end of the Aqueducto is a huge seventeenth century wheel pump once used for pumping water to the Palacio dos Condes de Fichalo. The palace is built into the town walls and still used by the Fichalo family as a holiday home. Serpa is famous for its cheeses, which are sold along with plenty of other local produce at a huge market that takes place on the fourth tuesday of every month by the Rua de Santo Antonio, on the north-eastern outskirts of the town. There is a large solar energy farm on land just outside of Serpa which provides enough energy for eight thousand homes. When it was inaugurated in 2007 it was the largest farm of its kind in Portugal, although there is now a larger one nearby, just outside the town of Moura.